This track utilizes tools that are being used all over America. They are effective in both evangelism and short-term follow-up with new believers. This is a seven-week Bible study that can be self-directed, conducted as a small group study, or one-on-one. The book contains lessons driven by questions with answers coming directly from the Bible. All Bible passages are provided in the book so this tool can be used anytime, anywhere. The lessons are a systematic teaching of the Gospel and provide an opportunity for Salvation within the study. Man’s Problem: Why do I do the things I do? God’s Solution: Why God does what He does? Man’s Response: How can I know the truth? The Only Way To Heaven: Are we all going to the same place? The Road to Life: You have to give it up and completely trust Him! What are others saying about this tool? The Good News For You books come in multiple languages (English, Spanish, Chinese, Vietnamese, Portuguese, German, Russian, etc.) The best part is they are only $1.00 each! Currently we have the Red books available at the Associational office. Once a person has become a believer in Christ, there are tools that follow a similar format to help them continue spiritual growth and development. This booklet is designed for use in a one-on-one setting or group setting. It’s designed to be read and discussed so it is important that others are involved. Each chapter is designed to help a new believer grasp their new life in Christ and to build into their spiritual DNA the critical truths that will sustain them throughout their spiritual walk. The lessons are designed to be read and then a series of discussion questions are included at the end of each chapter. Some churches use this book as a tool for a New Members Class. Others use it for a disciple-mentoring group. 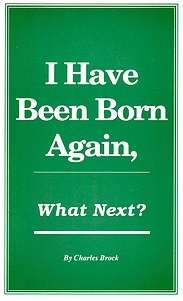 It contains the basics that every believer needs for a clear understanding of their new life in Christ. This tool is $3.00 and can be purchased at: www.churchgrowthinternational.com. 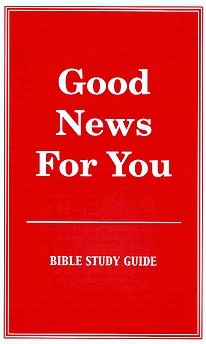 This booklet can be used over the course of seven days or one chapter a week for seven weeks. This will enable you to walk alongside a new believer and help them understand the practical application of the materials. 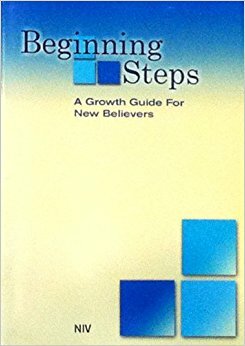 Available from NAMB's site for $0.95 - www.nambstore.com/products/beginning-steps. A great personal study guide for new Christians after they make their profession of faith. Study workbook provides answers to common questions, helps new Christians establish a daily Bible study plan, and encourages new Christians with the Word of God. Choose from either NIV or Spanish editions. This lesson series allows you to walk with the new believer through a series of 15 lessons ranging from forgiveness, holiness, stewardship, spiritual warfare and the armor of God. 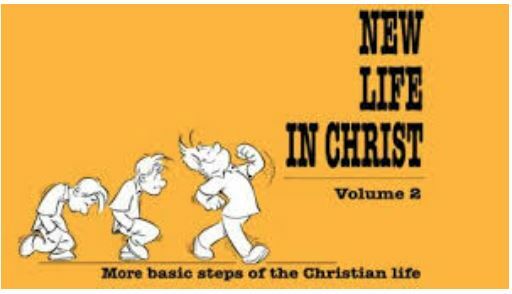 These lessons are free at www.newlifediscipleship.com. Click on English and scroll down to the document.